Every season may be taco season, but that annual hankering for Mexican eats comes on extra strong when May rolls around. Perhaps our stomachs anticipate another gluttonous Cinco de Mayo, or maybe the arrival of warm air and sunshine causes a thirst only quenchable by a rooftop marg. 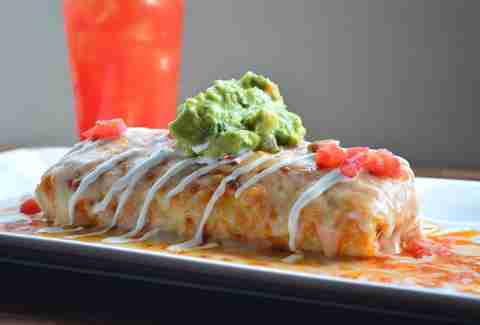 Whatever the case, we’ve got you covered with a roundup of the DMV’s best joints for Mexican food. The clingiest of winters has passed, so bring out the squad and get to celebrating with some south-of-the-border grub. If you like charming, no-frills Mexico City, fare, put your trust in the sister-brother duo Jessica and Alfredo Solis. They'll take you back to their own childhood with housemade tortillas and servings of tequila. Don’t let El Sol’s modest interiors fool you; the food packs a punch in both flavor and heat. For the perfect balance of sweet and spicy, order the ooey-gooey queso fundido. Pro tip: this small space usually gets packed quickly, so avoid peak lunch and dinner hours to avoid a long wait. They've also got an @ElSolDC food truck you can follow on Twitter. The Solis siblings upped the ante on their OG spot by expanding their culinary influence to 14th Street. At Mezcalero, murals dance along the exposed brick and complement the buzzing, busy atmosphere. 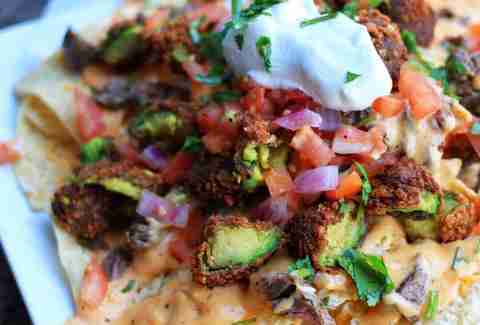 Come hungry, but decisive, as you’ll be ordering from a menu that boasts a variety of 15 different tacos. 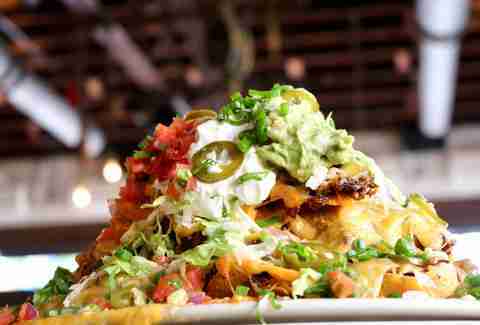 Perhaps the overnight, slow-cooked barbacoa or the deep-fried mahi-mahi baja-style will tickle your fancy. They also do cocktails and daily mezcal flights if you're feeling thirsty. One cannot discuss Mi Vida without mention of its awe-inspiring, ethereal décor. Chef-owner Roberto Santibañez truly outdid himself with this District gem. From elaborate, mandala-like chandeliers to a life-sized tree speckled with flora, thoughtful expressions of Mexican culture lace their way throughout the open space. Start with the La Frozen mango margarita and finish with tres leches and churros (yes, both). You can’t go wrong with anything in between, but the salmón en salsa de piña (pumpkin seed-crusted salmon) is a surefire way to live your best life. Come try the food and you’ll return for the experience. This small chain’s first storefront opened its doors in Falls Church five years ago and developed a groundswell of followers as it spread throughout the DMV. 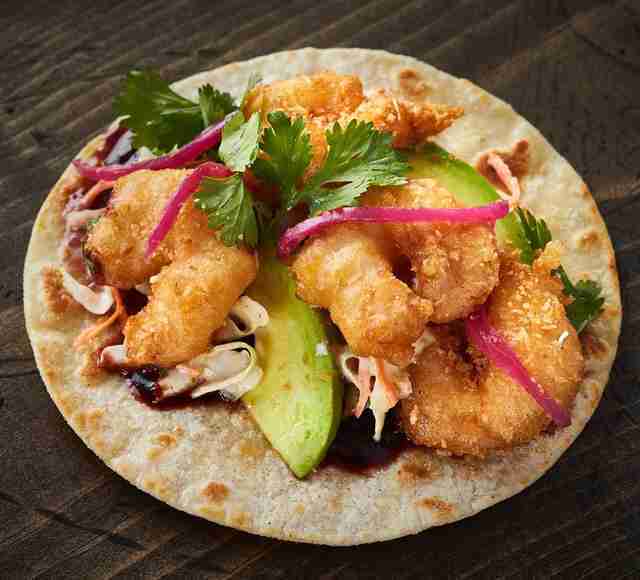 It’s been a long time coming, but their innovative take on Mexican street fare finally made its way to the District. 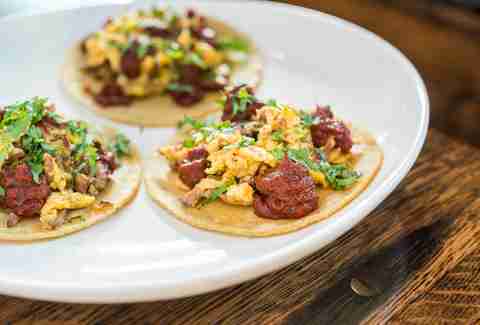 Fans of the al pastor taco, go ahead and give La Gringa a try. Pork and pineapple are paired in a quesadilla with seared cheese, onions, cilantro, and sweet chili sauce. Cue drooling. If you’ve never experienced an elote callejero (street-style corn on the cob), El Chucho is the spot to break the seal. The succulent corn comes out partially charred, slathered with a brown-butter aioli, and covered in crumbles of cotijia cheese and cilantro. This Central Mexico–inspired hangout is a mainstay for many Washingtonians who enjoy splashing back spicy margaritas and chowing down on chilaquiles (for brunch only here). If the weather is nice, dine on the patio and soak in the good vibes. A short stumble from U Street will bring you to the District’s best-kept secret, the bright and friendly Tacos El Chilango. 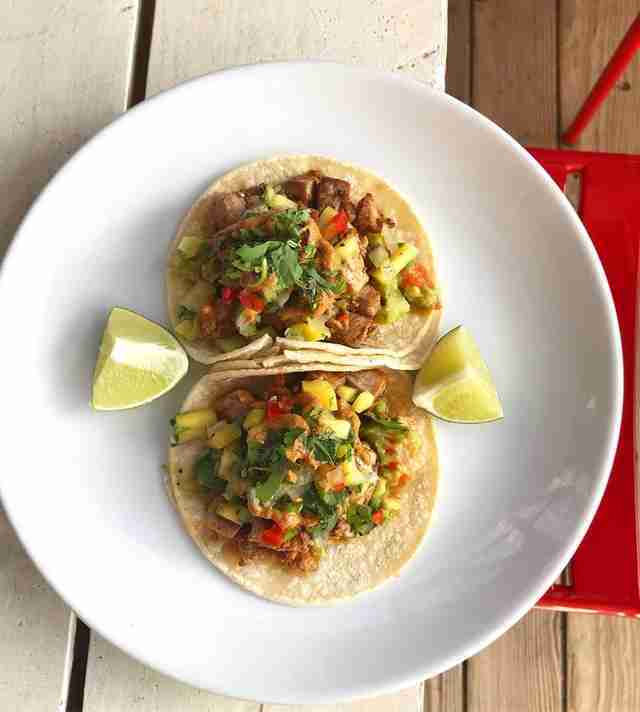 Don’t expect any frills as this unpretentious spot keeps their focus on the tacos, and rightfully so. They may be served in sets of three, four, or five, with mix-and-match strongly encouraged. Their al pastor (marinated pork, pineapple, and onions) is highly recommended by the restaurant, followed by the campechano (a combo of chicken, steak, and al pastor fillings). If you’re reading this from Arlington, you can take a short jaunt to their OG food truck off of Highway 50. Despite boldly proclaiming that they are "not traditional" on their website Espita Mezcaleria’s proved their dedication to capturing authentic Mexican flavors when they sent their chefs to Mexico last summer. That experience paid off, as each dish transports you south of the border to the flavors of Mexico’s Oaxaca region -- starting with freshly ground corn for tortillas every day. The menus regularly evolve based on availability of ingredients but what remains the same is their savage selection of mezcal. If you’re feeling bold, spring for one of the mezcal flights. 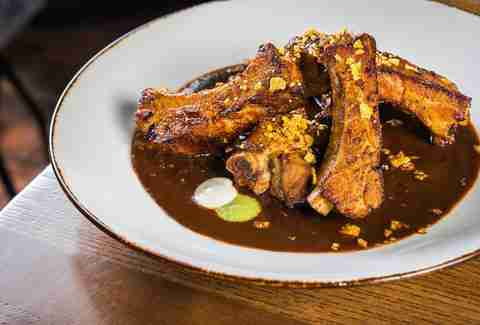 The team behind District Kitchen delivers again with this Dia de Los Muertos–themed newcomer. Mayahuel opened on 24th Street NW only this past February but has quickly become a Woodley Park staple. Dim lighting, a patio, a bar with delectable cocktails (the mango-tamarind Margarita is a must), and a cozy atmosphere all give this spot some serious date night vibes. The fact that it's named after an Aztec goddess of fertility and the agave plant only adds to that impression. Menu standouts include the tacos de falda de res (braised brisket tacos) and the churros con nutella. El Techo’s menu may not be as true-to-the-roots as the others, but their offerings are Mexican-inspired enough to include this playful rooftop on our list. Head over to this Shaw surprise for post-work spicy margaritas and snack on some deep-fried avocado tacos or Trio De Mojo (loaded tostones). This spot is also worthy for a brunch-turned-day-drinking Saturday. Fun fact: El Techo uses homemade agave simple syrup in lieu of the standard processed sugars you'll find elsewhere. Three words: Gas. Station Tacos. If you’re a DC transplant, maybe you’re thinking, “Where the F is Gaithersburg?” Spoiler alert: It’s where DC’s best tacos are, according to the small population of born-and-raised Washingtonians. This simple food stand set up shop smack dab in a Maryland gas station. Take a jaunt and adventure north (and check out Rock Creek Regional Park or Seneca Creek State Park while you're at it) to see what the craze is all about. This neighborhood gem made the list precisely because its brunch should be on everyone’s bucket list. 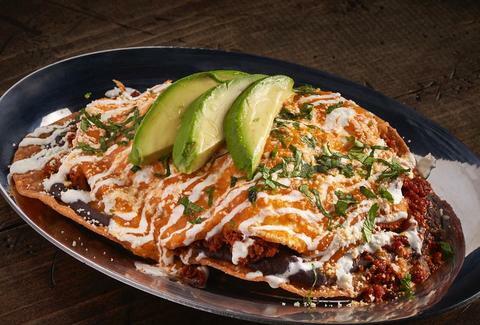 Choosing between the salivating horchata-soaked French toast, the huevos divorciados, and the omelette salsa huitlacoche is a task not to be taken lightly. Pro tip: Come hungry and at least with one other person so that when you order the entire menu, you have another person to split the check with.